Despite the recall, Which? has discovered that affected cars continue to be sold in large numbers with the same fault. 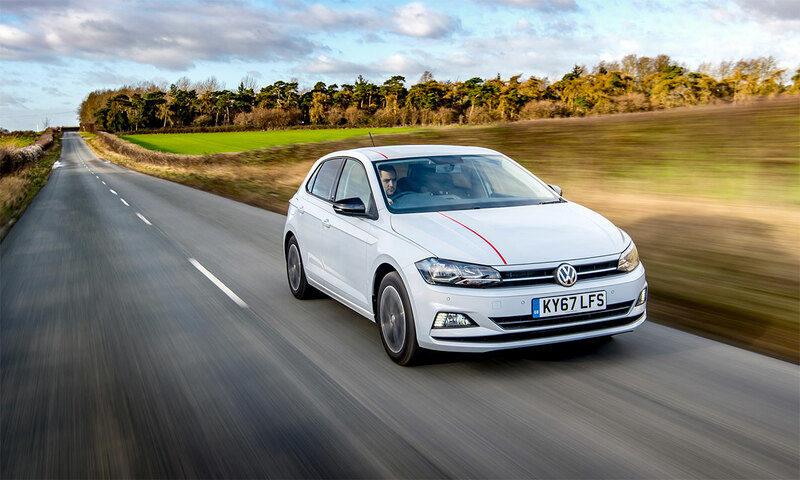 The number of cars affected in the UK has increased to 35,263 VW Polos and 28,639 Seats (Ibiza and Arona combined). 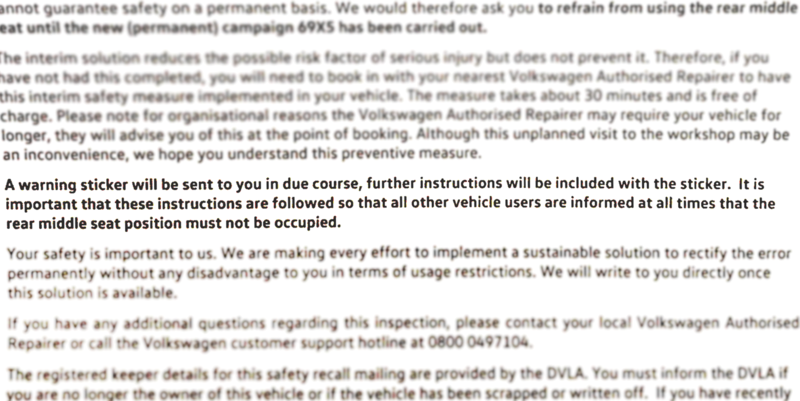 When we quizzed the VW Group, it told us that buyers were being issued a warning sticker ‘in due course’ to attach to their dashboard. 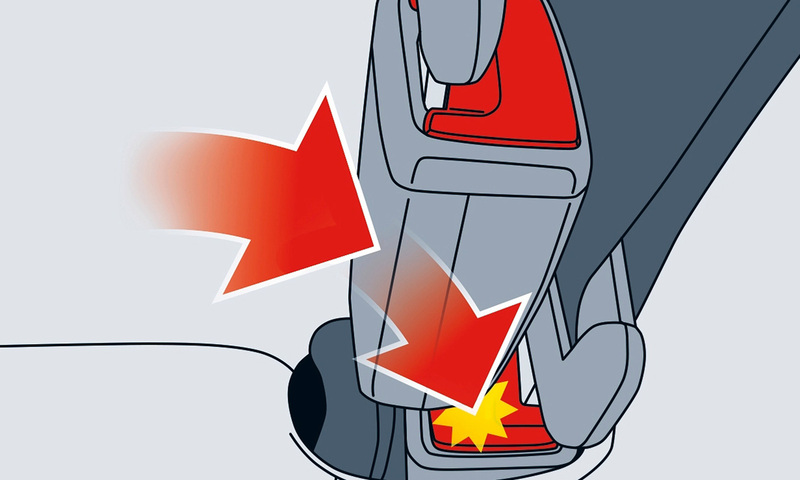 This tells them not to use the rear middle seat until a permanent fix is in place, effectively reducing the capacity of the car from five seats to four. We also found out that the current recall doesn’t fix the fault. Instead, the ‘temporary measure’ involves securing the two seat belt buckles together – and you still can’t use the rear middle seat. Want to know which car you should buy? To make it easier for you to make the right choice, we’ve rounded up our best cars for 2018. What does VW have to say? VW has confirmed that the current cars being sold as new today are affected by this issue. It expects retailers to warn people about the problem before buying one of these cars. 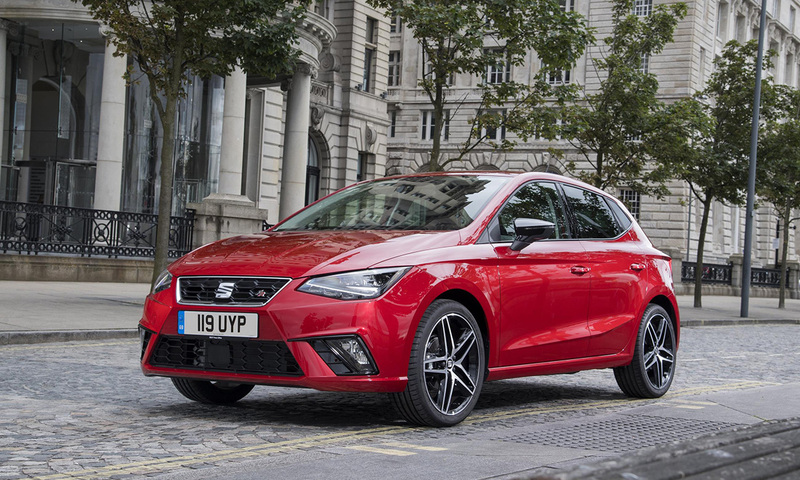 We spoke to Catherine and Gerry Monaghan, who purchased a Seat Ibiza from a local dealership in Waterford, Ireland, last week. They explained it wasn’t until they were finalising the deal that they were told about the rear seat belt fault. The Monaghans, who hope to use their new car when their grandchildren come to stay later in the year, have not yet received a sticker. An excerpt from a recall letter sent to a Volkswagen customer. 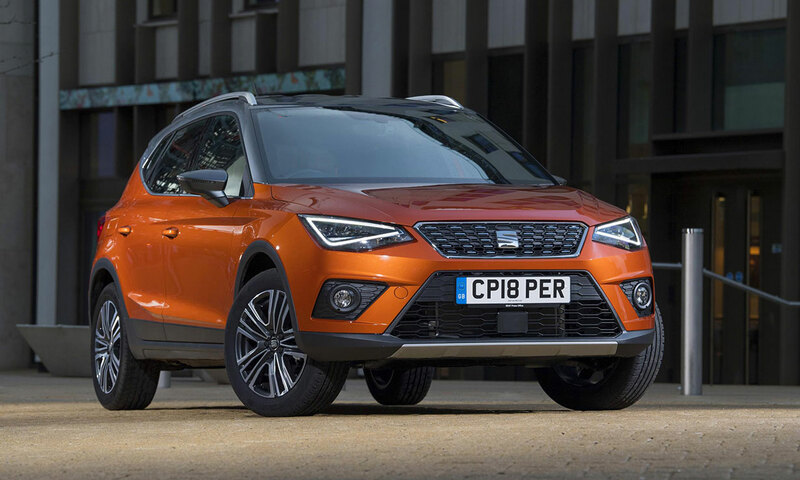 Have you bought a VW Polo or Seat Ibiza or Seat Arona since May? Let us know when you were told about the fault: @whichuk on Twitter and on Facebook. How many cars have been affected since the recall? When the recall was announced it was reported that around 12,000 new Polo’s in the UK would be affected. That number has since risen to 35,263 VW Polos, while a further 28,649 Seat cars (Ibiza and Arona combined) also have this fault. What does the current VW seat belt recall fix? When we spoke to VW Group in May, we were told that ‘a feasible technical solution has been identified’. However, as it stands, the current fix to this safety recall is only a ‘temporary measure’ and involves securing the two rear seat belt buckles together. Plus, you still can’t use the rear middle seat. A VW Group spokesperson explains that it ‘aims to minimise what is already an extremely low risk of the rear left seat buckle being unintentionally unfastened during exceptionally specific driving conditions’. We believe it’s unacceptable that Volkswagen Group is selling cars with a known safety issue that could put passengers at risk – this highlights severe problems with the car recall system. This case, as well as the BMW recall earlier this year, exposes several crucial failings. The system is simply too dependent on companies self-policing. This places too much reliance on manufacturers to judge what they believe to be ‘safe’ or ‘unsafe’, as well as leaving it in their hands to produce the plan to resolve the issue. Which, in this circumstance, is woefully lacking. The Driver and Vehicle Standards Agency (DVSA) must be given enforcement powers to hold car manufacturers, such as VW Group, to account. These powers currently lie with Trading Standards. Until the DVSA is given the ability to enforce, it must proactively work with Trading Standards to tackle inadequate product recalls that could put people’s safety at risk. Alex Neill, Which? managing director of home products and services, said: ‘It’s shocking that VW and Seat are selling thousands of cars that they know have a serious safety issue but don’t yet have a proper fix for. ‘Volkswagen Group should not be selling these potentially dangerous vehicles at all. Supplying a warning sticker is a shockingly inadequate response to fault which is putting lives at risk. Find out more about Which? and the work we do. Tekniikan Maailma said the problem affects cars built on the MQB A0 base model, which is used in VW Group’s new small cars, the Seat Arona, Seat Ibiza and Volkswagen Polo. The tests undertaken by the Finnish magazine discovered that when carrying five passengers, changing lanes to the left caused the seatbelt buckle to push against the buckle on the left, therefore releasing it. The buckles are all at different heights to make them easier to use. This means the middle buckle is higher than the left-hand one, which in turn means the edge of the central buckle is in a similar position to the release button on the middle one – see the illustration below from Tekniikan Maailma.